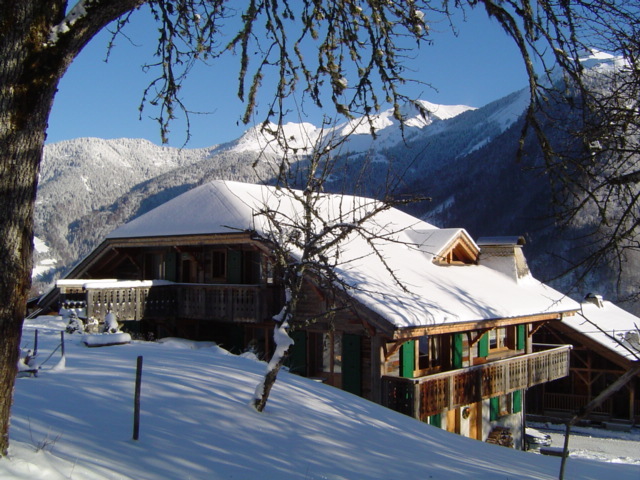 A traditional Alpine ski lodge offering luxury self-catering accommodation near Morzine. Chalet Gueret offers outstanding amenities and great comfort, with magnificent far reaching views. It is situated within one of the most extensive and varied ski areas in Europe, the Portes du Soleil..
Chalet Gueret is an eighteenth century farmhouse that was completely rebuilt to the highest luxury standards. It has a wonderfully restorative atmosphere, and is a beautiful place to relax, spend time and enjoy the superb views. With all its facilities and comfort, it is particularly well suited to groups that include skiers and non-skiers. For more details, see Accommodation. 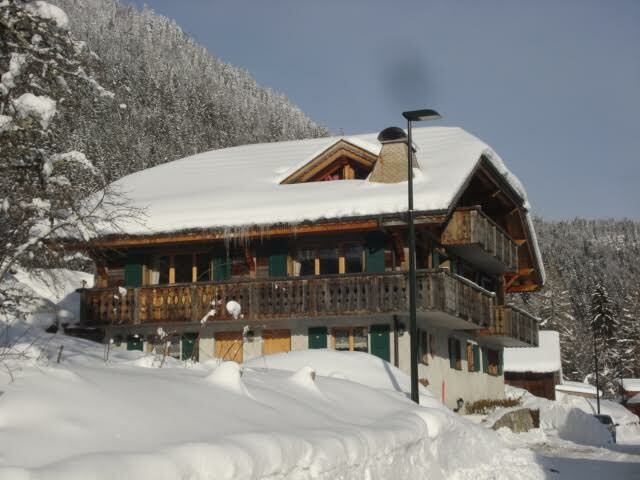 The chalet is let on a self-catering basis. However, you will be looked after by our charming concierge. Chalet Gueret therefore combines the fantastic service of the very best catered chalets, with the freedom to choose from a range of bespoke services. We also have negotiated a number of discounts with ski hire, ski school and transfer companies, all of which we totally pass on to our clients. “I wanted to say that your property is by far the best and most thought out that we have ever stayed in, thank you, such attention to detail, we will be shouting from the roof tops all about it. It made my birthday celebrations all the better for the wonderful atmosphere of the house. Thank you.” Mrs R, March 2018.